Yes! I finally summoned up some courage to do this challenging hairstyle. I love updos but parting can be so hard especially at the back. No my hair is not this full but it sure looks like mine. I added marley hair for fullness.Shea Moisture Curl Enhancing Smoothie is the truth when it comes to blending natural hair with extensions, at least with Marley hair. I have a tutorial coming up soon if you are interested. How about you? Are you wearing protective styles like me? Great job on the parts. And you're right...everything looks completely natural. 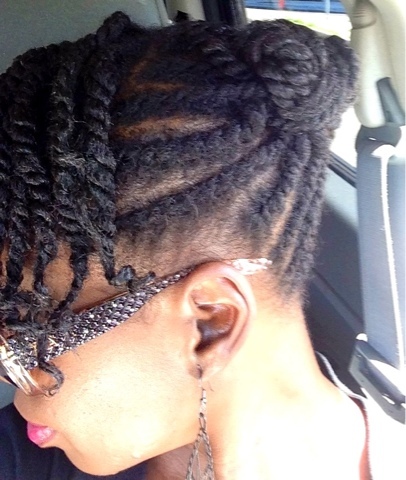 A for protective styling, I'm working on some buns and updos this summer. I am interested. This looks good. That is so cute! I can do big flat twists, but I have to work on smaller ones. Thanks Hun! 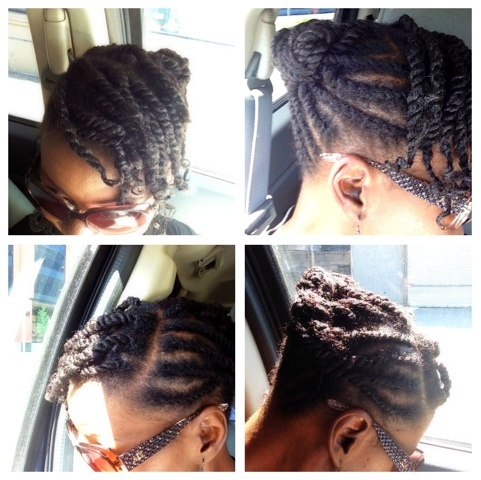 Keep on practicing and before you know it you would have become a flat twist guru. I'm soooo trying to make this style on my hair. Those two strand twists look so full, did you add any marley hair to them? I mentioned in the post about using Marley hair. I am so glad it worked out. Marley hair makes it last longer and look better in fine hair. I am editing the video. Hopefully it should be up soon!